From the makers of Peppa Pig comes this BAFTA award-winning television animation live at St Helens Theatre Royal! Ben & Holly’s Little Kingdom comes to St Helens on Saturday 23rd and Sunday 24th February. Entertainment One’s (eOne) Ben and Holly’s Little Kingdom hails from the award-winning animation studio Astley Baker Davies, creators of the global preschool phenomenon Peppa Pig. 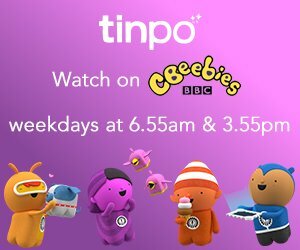 Currently a top-rated show for pre-schoolers Ben and Holly’s Little Kingdom airs daily on Nick Jr and on 5’s Milkshake and has picked up numerous accolades including a BAFTA award, British Animation Award and an Emmy Award. Ben and Holly’s Little Kingdom at St Helens Theatre Royal. *Price inclusive of a £1 per seat transaction fee. On-line bookings subject to an additional 50p per seat on-line processing fee.